Two married couples are living as neighbors in a Hong Kong apartment complex in the 1960s. An affair begins, but this film isn't about the unfaithful spouses. In the Mood for Love follows the relationship that grows between the husband and wife that find out. 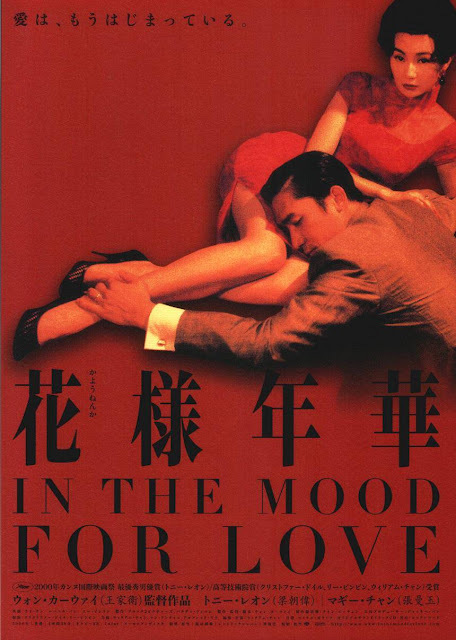 In the Mood for Love highlights the mundane life of couples as Mr. Chow and Mrs. Chan spend time together while their significant others are away on vacation. They start to play the roles of each spouse that isn't present, trying to learn about who they are by attempting to eat the same dishes and adopt mannerisms. Mr. Chow, a working journalist, aspires to write a martial arts novel, and Mrs. Chan starts to frequently visit him to help. The story line may sound monotonous but these small moments have never been more intimately displayed. 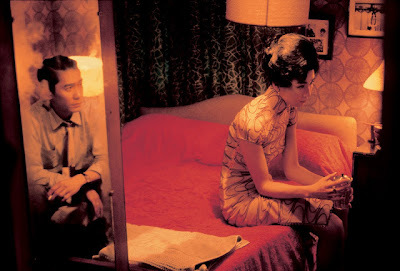 Wong Kar Wai shoots this picture with a slow and seductive camera, allowing the beautiful set pieces to emote the tone of unconsummated desire. After observing this unlikely couple's relationship grow, we learn that it is the time spent getting to know each other that truly connects us.